This chesutnut shaped small box is an absolutely breathtaking piece. After forming this beautiful shape on a lathe and then by hand, lacquering and wiping off repeatedly many times over, thus developing the natural wood grain coming through from underneath. Furthermore the wood grain of the lid and the body fit snugly. This requires extreme precision and delicacy. 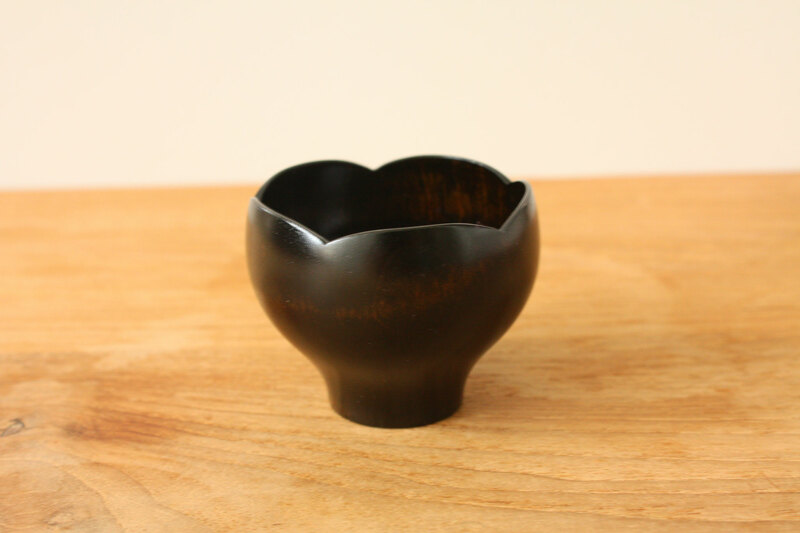 If you enjoy Japanese tea ceremony, this can be used as an incense container. This small sake cup forms like a blooming flower. After forming this beautiful shape on a lathe and then by hand, lacquering and wiping off repeatedly many times over, thus developing the natural wood grain coming through from underneath. What's unique about this cup is uneven lacquered surface depends on the part of the wood. 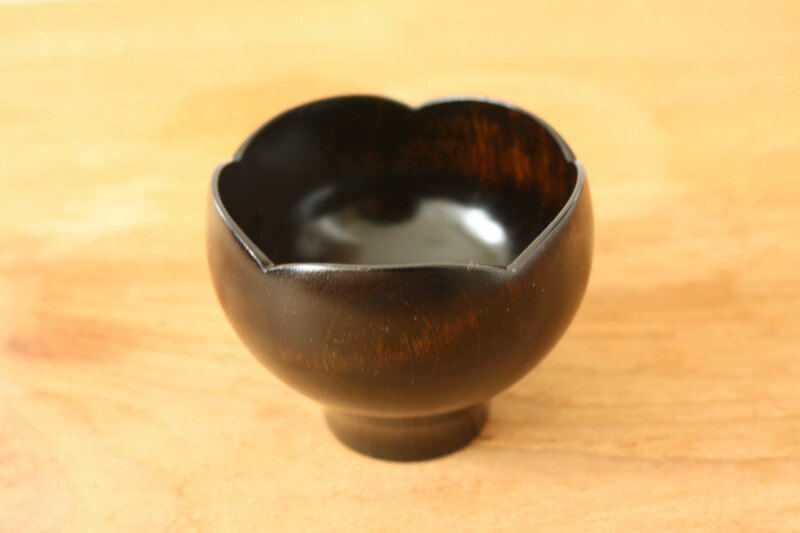 This small bowl with a lovely design is used a method called "Suri-urushi"of applying lacquer and then wiping off repeatedly many times over.These procedures make the wood grain to be visible. What's unique about this bowl is uneven lacquered surface depends on the part of the wood. 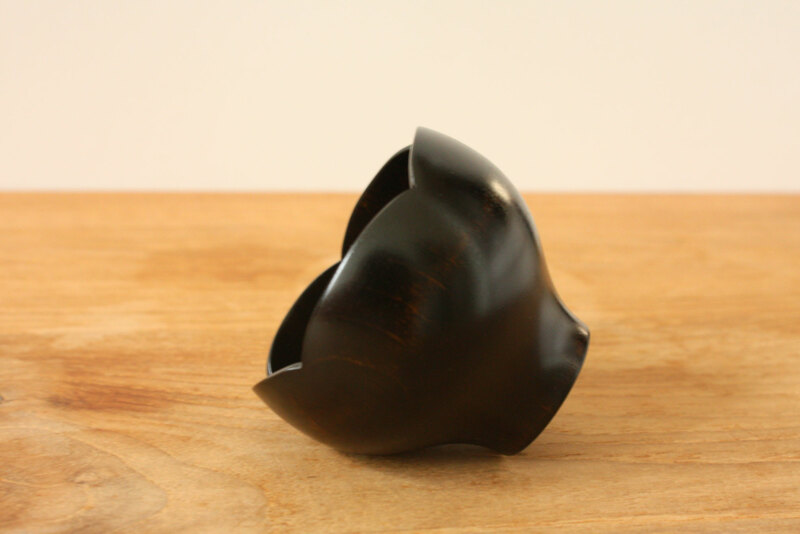 A finely handcrafted small bowl forms a flower. After forming this beautiful shape on a lathe and then by hand, lacquering and wiping off repeatedly many times over. This item certainly brighten up your table. Would you like to take an item in your hand? We are open for an actual viewing by appointment in a city central location. which you could not tell only from screen.